Original 2010 film starred Angelina Jolie as a CIA spy. Sony Pictures Entertainment (SPE) is developing a television remake of Angelina Jolie-fronted spy film Salt. The Hollywood studio is pitching the adaptation to broadcasters and co-production partners at this week’s European Film Market, which runs alongside the Berlin Film Festival. The 2010 film, which was directed by Phillip Noyce, stars Jolie as a CIA spy who is released from a North Korean torture camp before it emerges that she is a Russian operative tasked with killing the US President. Feature film adaptations are increasingly in demand in the US with The Exorcist and Training Day the latest movies set to be piloted, but, if successful, Salt would mark one of the first Hollywood pictures to be turned into a television series in Europe. Suarez joined Sony in September to develop local and international TV around the world. He said that he was tasked with increasing the amount of non-US programming that the studio deficit finances internationally. He was previously at Fox21 Television Studios, where he adapted Latin telenovela The Queen of the South as a series for USA Network and also worked at Fox International Channels in Italy and Spanish indie Boca BocaProducciones. 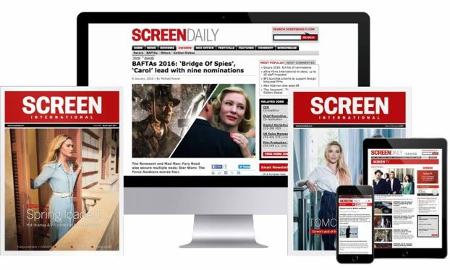 Read Screen International’s daily magazines from the Berlin International Film Festival here. Screen talks to this year’s selection of European Shooting Stars. Screen’s essential guide to the hottest titles coming to market at Berlin.